Mr. Kobel is the Assistant Dean of ISS and the Advisor for AIS. He’s from El Dorado, Kansas. Besides being the Advisor of AIS, he’s also the Advisor for the Angolan Student Association, the Indonesian Student Association, the Kazakh Student Association, and the Malaysian Student Association. He became interested in the field of international education after he studied abroad in college in Costa Rica. He started out as an ESL instructor 15 years ago and he has continued working with international students since then. He thinks that travelling the world is a mind-opening experience, but so is working with international students from over 70 different countries! He feels very fortunate to have this opportunity. What is your favorite travel destination? "Wow, I have a lot of these. Cusco, Peru and nearby Machu Picchu are the most breathtaking places I've ever visited. Every time I go to Medellin, Colombia, I feel like I could live there. In the U.S., I like to visit Austin, Texas and the surrounding area (for the music scene and the breakfast tacos) and Northern New Mexico (for the scenery and the green chile)." Evan C.Y. Ng is a Petroleum Engineering major and Mathematics and Economics minor from Selangor, Malaysia. He’s an amazing juggler (has great chances of winning Olympic gold medal), loves photography, and enjoys hiking and travelling. Every semester you will find Evan exploring some wonderful creations in the world. Apart from presidential activities in AIS, Evan is involved with Malaysian Student Association, American Cancer Society of TU, and he is the Treasurer for Society of Petroleum Engineers. Evan is multilingual, he speaks five languages fluently and would wish to be 20 forever. Ottilia Saada Master Shanghvi is a Chemical engineering major from Dar Es Salaam, Tanzania. She lived in Oman for over 6 years and she’s from an Indian ancestry. Apart from AIS leadership, she is involved with SA-International Student Relations as an Associate Director, African Student Association as an Associate Treasurer and Associate at TU Annual Fund. She enjoys taking naps, watching Netflix and listening to all kind of new and old albums. Ottilia has been to over 9 countries and she would love to live in the Disney fantasy world. Nam Tran is a Petroleum Engineering major and minor in Mathematics from Vietnam. He loves every different kind of sport, enjoys travelling, and listening to music. He also enjoys watching horror movies to the extent that he would most like to live in any horror movie universe. Nam has a master degree in playing pool and his favorite thing about AIS is the wonderful team and the food. Adam Pashley is a Chemical Engineering major from Trinidad and Tobago, in the Caribbean. Aside from AIS, Adam is also apart of the TU Auto Club and is super passionate about cars in general. He enjoys listening to music, loves the ocean and any form of Watersport. His favorite thing about AIS is the warm, loving members that make up the AIS family. Y Quan is a Biochemistry major from Viet Nam. Apart from running treasury for AIS, she is also an Executive in Alpha Phi Omega. If you won’t find Y bookkeeping for AIS, on her spare time you will definitely find her watching Cowboy Bebop. She is so good at “laughing at her own jokes”, and if she could turn that to an Olympic sport she has greater chances at winning a medal. Y wishes to forever be 60 years old, as to get all the senior discounts. Although her name is Y, it’s pronounced as E.
I Gusti Ayu Inten Wulandari is a Biochemistry major from Indonesia. Aside from AIS, Inten is also involved with Indonesian Student Association Tulsa. Apart from coordinating spectacular AIS events, Inten enjoys watching movies. She would most like to live in Zootopia for as long as she can. If inten could turn napping into an Olympic sport, she would probably have gotten all the medals for it. Jayoung Ryu is a nursing major from South Korea. Jayoung enjoys listening to music, and her favorite thing about AIS is the amazing food AIS prepares for its events. She permanently wishes to be “Forever 21” in order to get all the teenage benefits. Rayan AlbinHassan is Petroleum Engineering major from Saudi Arabia. Aside AIS, he is an Executive for Muslim Student Association(MSA). Rayan is a great fan of soccer. His favorite thing about AIS are the meetings. If he could turn “Staring Contest” into an Olympic sport, he would surely earn all the medals. He would enjoy to live in Minecraft Universe and wishes to forever be 28 years old. Rayan admires Prophet Mohammed, and believes in the power of people. Nitya Rajagopal is of Indian descent, born and raised in Tulsa, Oklahoma. She’s a Chemistry major. She is the our first ever AIS Domestic-International Liaison, her role is to help engage students from all over to be a part one thing. 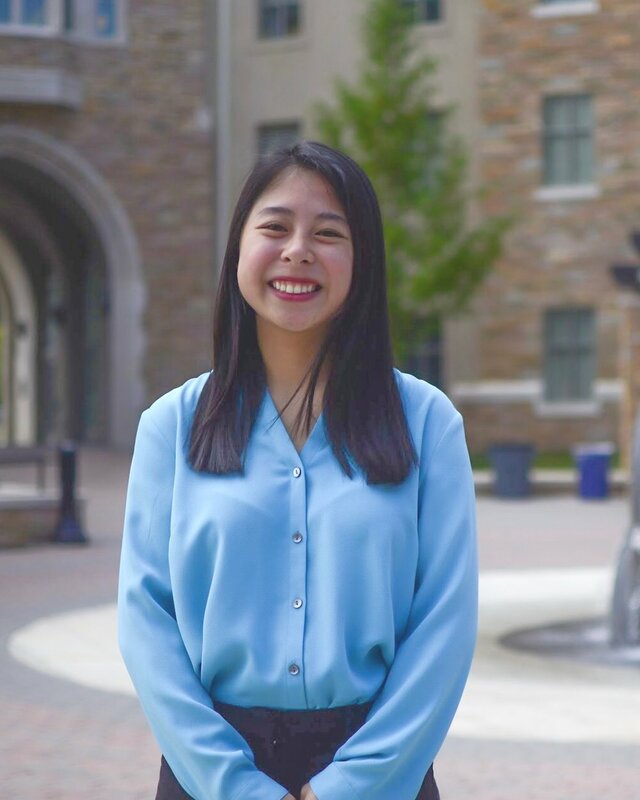 Apart from being involved in AIS, she is an Orientation Leader, she is a part of True Blue Neighbors, Tri Beta, AED pre-health society and Tulsa Undergraduate Research Challenge. She is also in the Honors Program and College Philanthropy Initiative. Nitya is very passionate. And her favorite thing to do is napping, she can nap anywhere. Iniobong Inyang Tobby is a Chemical Engineering major with a minor in Mathematics from Akwa Ibom, Nigeria. Apart from helping with AIS catering, she is involved in the African Student Association as Vice president, International Student Ministries as the president, Administrative coordinator for hardesty hall, Operations student Manager for the athletic department and she is also an Athletics Tutor. She is ambidextrous (she can write with both hands, she can also do other things too). Innie is also the first born of seven children in her family and she started college when she was 16. Duy-Linh Nguyen is a Biology Pre-Med major and minor in Chemistry and Neuroscience. He is a Vietnamese born and American raised. He loves eating food, ‘turning up’ on the weekends, and especially take joy in hip-hop dancing. He also enjoys playing tennis, ultimate frisbee and Karaoke. Besides AIS, he is currently looking to create a “Dance Club/Community” within Tulsa and an “Asian American Student Association”. Irene Baljak is a Chemistry Pre-Med major and minor in Bioinformatics from Milan, Italy. Apart from catering the most delicious food for AIS events, you will find her taking pretty pictures for Instagram. Irene is also involved with Alpha Epsilon Delta Honor Society (AED) and she is also a member of the Housing Staff at TU. Her favorite thing about our organization, is when AIS gets free food from Himalayans. Interesting fact about Irene is that she does research in the Iski lab, she uses a microscope that lets her see atoms! Terryl Ashli-Boxley is Chinese Studies major with a minor in Neuroscience. She is African- American from Tulsa, Oklahoma. She is involved with Association of Black Collegiate and Global Scholars program. One of her very favorite snack is apple sauce. Her huge goal is to study abroad in China and she enjoys working at the International Student Success Center. Shenjie Wu is a Chemical Engineering major from China. Shenjie likes cooking, enjoys munching of varieties of goodies and loves photography and exposure. His favorite thing about AIS is the good food AIS prepares for its events. If Shenjie could turn any activity to an Olympic sport to win a medal, it would definitely be “cooking and eating his own new recipes”. He would most like to live in Before Sunset universe and could wish to Forever be 21. Interesting fact about Shenjie is that he always cooks some new recipes and let people try them. It turns out people like them. 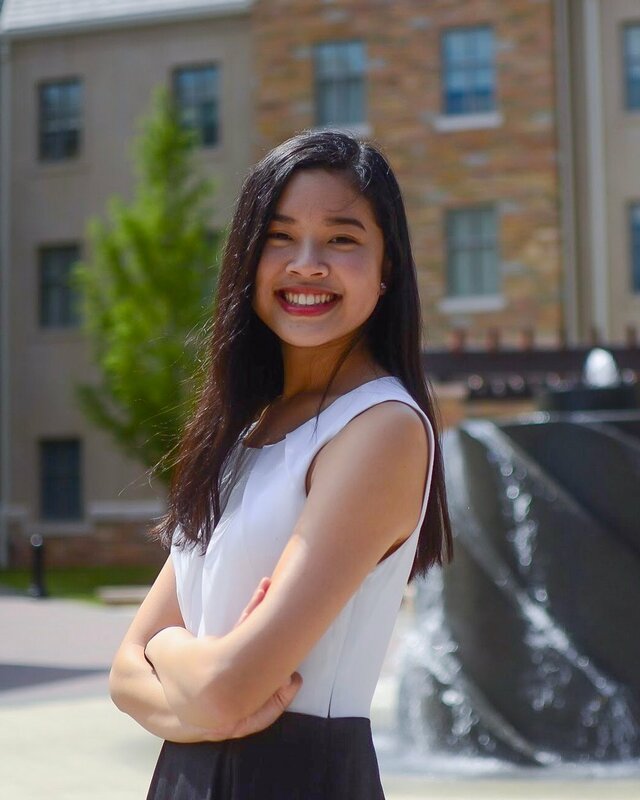 Ashley Tran is a Chemical Engineering major from Tulsa, Oklahoma. She is a Vietnamese, raised in United States. Her hobby is getting destroyed in physics, and she is pretty good at pool. Her favorite thing about AIS, is the food AIS caters. She would most likely live in the horror, thriller universe of Harry Potter. Ashley is first class procrastinator that she will definitely be awarded a gold medal for it. 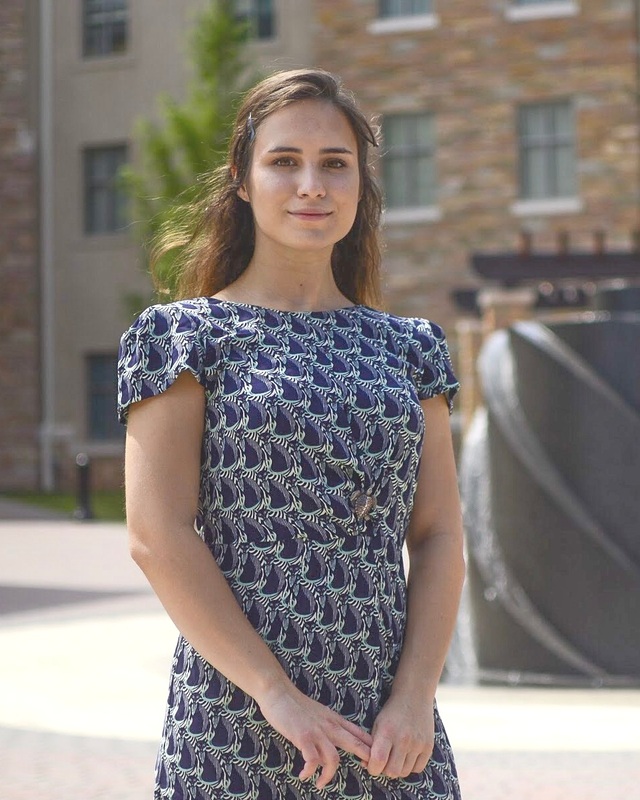 Sophia Meneely is a Russian Chinese Studies major. She is a Russian, who was brought up in United States. Other than AIS she is involved with CKI (Circle K), University Ambassador, Delta Gamma sorority and Global Scholars. Sophia enjoys making sound effects on her spare time. Her favorite thing about AIS are the people in the organization. Sophia is a professional at balancing on one leg and would definitely win Olympic medals for that. Abdulallam Ismail Abdulallam Alsaati is a petroleum engineering major with minor in Mathematics from Medina, the Kingdom of Saudi Arabia. He joined the College Preparatory Program (CPP) which is sponsored by Saudi Aramco. He has been currently elected to be the president of the Saudi Students Club for this semester where he can share his culture with TU faculty and students. He’s favorite plate is Bokhari Kapsa with hot sauce (a traditional food back his home country). He likes playing volleyball, swimming, and tasting new food. He speaks Arabic and English and he’s hoping to have a great time and write his story at TU. Joao Matheus Andreucci da Silva is Engineering Physics major and minor in Mathematics from Brazil. He enjoys watching Netflix, studying, and he has a master mind for Cubing (Rubik’s Cube). He’s among the few people that spend most of their time in the “Physics Room”. He doesn’t only work hard and support AIS only, he’s also a very helpful member in Society of Physics Students. He would love to live in the Middle East or the Star war universe. Joao doesn’t have an age he would permanently want to be; he enjoys life just the way it is. 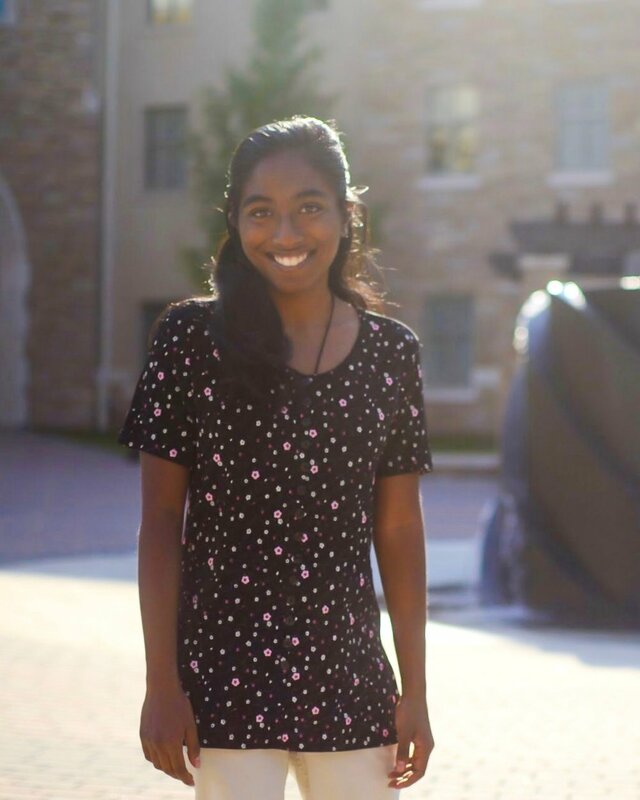 Bansri Doshi is a junior studying biology and also minoring in Spanish and Sociology. She’s an indian descendant, born and raised in Tulsa. She is involved in research on campus, as well as sustainability, health outreach, and bilingual education. As one of the Environmental Resource Officers, she hopes to use her passion for sustainability awareness to contribute to AIS events. What skill would you like to master? “I really want to learn how to play a string instrument like the cello or violin, since they sound so beautiful. Natalia Johnston is a petroleum engineer major, from Michigan. Apart from AIS Natalia is involved in Society of Petroleum Engineers, and Society of Women Petroleum Engineers. She enjoys traveling the world and collecting postcards from each place she visits, including 48 out of the 50 states of the U.S. Natalia has a diverse background including roots in Germany, Brazil, and Japan. Apart from constantly studying you can find Natalia playing the harp, napping, or eating 2nd or even 3rd lunch. 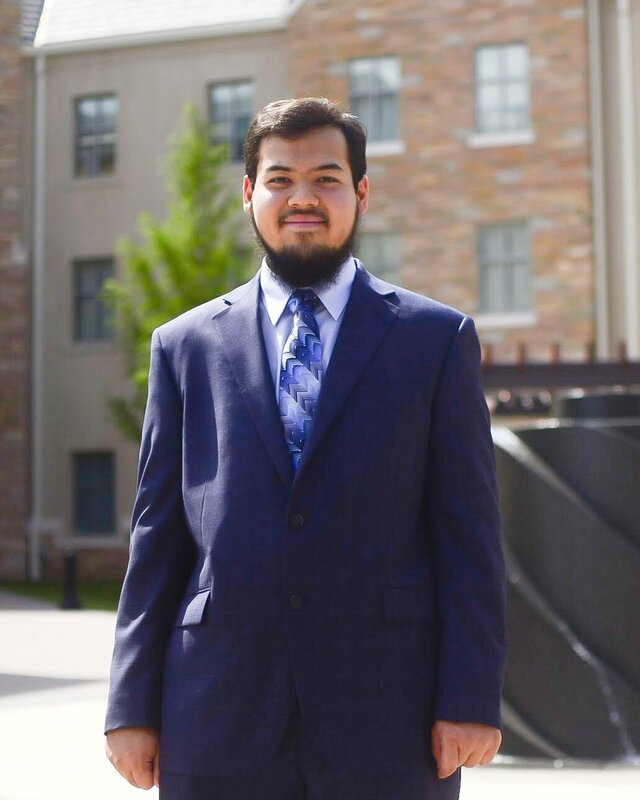 Muhammad Alif Haider is a Petroleum Engineering major and minor in Mathematics and Economics. Alif is from the country with the largest archipelago in the world, Indonesia. Other than AIS, he is also a member of ISATU (Indonesian Student Association Tulsa). If you won’t find Alif designing outstanding posters on campus, you will find him playing Roblox. Alif is a professional procrastinator and would surely win Olympic platinum medal for procrastinating. He enjoys being 19 and wishes to never age. Rujit Raval is Computer Science major from Gujarat, India. 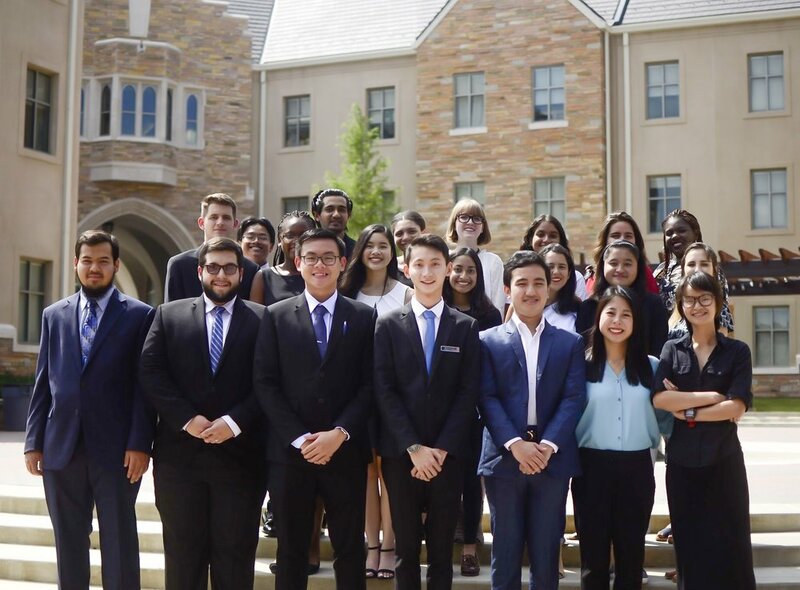 Apart from serving AIS, Rujit is also a member of the Indian Student Association & the University of Tulsa capture the flag team. He loves listening to music, watching netflix, making delicious food and taking beautiful photographs in various adventurous destinations. Calligraphy is his secret art! If you challenge him in eating spicy food, we bet that he will always win. Joanna George is a biochemistry major with a minor in Spanish from Tulsa, Oklahoma. Apart from being a writer for Department for Marketing in AIS, she is involved the Student Association as an Associate Director for Organizational Outreach, she is also a part of American Chemical Society, Commuters Advocacy and Resources Society, University of Tulsa swing VSM chapter, Wesley Foundation and the International Student Ministry. She works at Hillcrest Medical Center. She is very fond of trees and enjoys climbing them. Her favorite place to go to is Riverside. The 2018-2019 AIS Administration. Photo by Shenjie Wu.